MAIN HOUSE : This is the main communal area of the farm. Here you will find the reception and a lot of information about the farm and the nearby activities. You will also find couches to relax and rooms with chair and table if you need to work in a quiet space. This is the only area with Wi-fi so that you can enjoy as much as possible an off-grid experience. If you are curious about Costa Rica's biodiversity, we have lot of books that you can read about it. We also have some board games that are really appreciated at night. ARTS CENTER : Since we put lot of love in this studio, it is a safe space to share, connect with nature, let your body express itself through dancing or yoga and let go of any tension. This space is always open, feel free to go there and allow your creativity to show up. Besides, the balcony and the large windows will offer you an amazing view on the Orosi Valley. If you're interested in learning more about what we do there, please check our retreats and classes we offer. FOREST : This regenerated forest is as old as the project. It has been 20 years now that trees, plants, insects and animals are growing and evolving on the ground of the farm. 10 hectares of pure nature will surround you, helping you to feel relaxed, connected and in peace. If you go far enough, you will discover our mystic circle of bamboo and our amazing waterfall. It's really worth it, so get off the beaten track and live the adventure! MEDICINAL GARDEN : Here, we cultivate the love for plants. We treat ourselves with their medicinal properties and take care of them in return. This garden is a Garden of Eden for who knows how to listen to the call of nature. As you travel, you will discover plants such as mint, hierba buena, juanilama, lavender, rosemary and aloe vera to name a few. Many other surprises are waiting for you. Let yourself be surrounded by this heaven of peace. The simple fact of staying for a moment in this magical place is already a medicine in itself. You will see, you will come out revitalized and calmer. FARM : Meet our animals at the farm ! You will be able to see and connect with ducks, hens, roosters, chickens, a goose, goats and horses. This part of the property is really appreciated by children. If you're interested by horseriding tours, please check the activities we offer onsite. INTERNET SERVICE : There is Wi-fi only at the main house to offer you a better off-grid experience during your stay. LAUNDRY SERVICE : Simple but useful, the farm has a laundry available for guests. SECURITY : We can walk freely around the farm and its surroundings without any fear of being assaulted or worrying about belongings. The small town of La Flor is really safe, and there is always someone at the farm. HEALTHY ENVIRONMENT : The farm provides an ideal environment to volunteer, relax or study. It is free of smog, noise and stress commonly generated by cities. Just breath deeply and enjoy ! 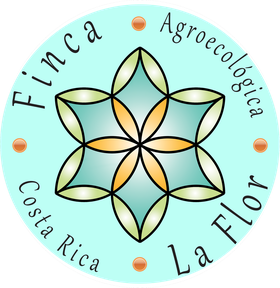 DRUG AND ALCOHOL FREE : At Finca La Flor, we don't promote the use of drugs and alcohol.